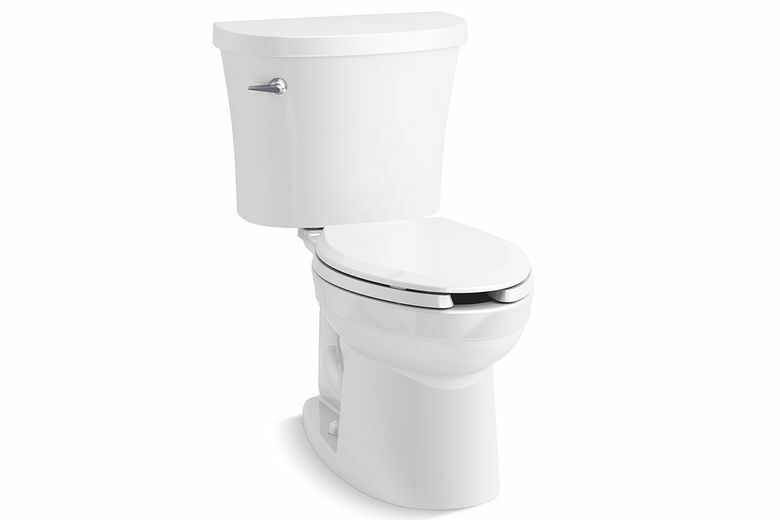 A half-bath in the basement gets lots of use, so it requires a hard-working toilet. Q: We have a family game room in our basement, complete with a half-bath. Between friends and family, this large room is the busiest area in our home and has a lot of bathroom traffic. Let’s just say our present toilet is not up to doing the job. Any ideas on the new type of toilet I should install in my busy bathroom? A: For busy bathrooms, there are usually three toilet issues to address. First, you need a toilet made for extra-heavy use. Look for options like three-bolt tank-to-bowl connections and metal flushing-handle assemblies. Second, you will want maintenance features such as full-bowl rinsing and a molded-in sanitary guard to help deflect liquids from getting between the tank and bowl. Finally, the flushing system should incorporate water-saving technology and still be powerful enough to flush bulk waste. You can find all of these features in what is known as a hospitality commercial toilet. These toilets are used in many small office and event areas. Most have the same connections found in a residential bathroom.